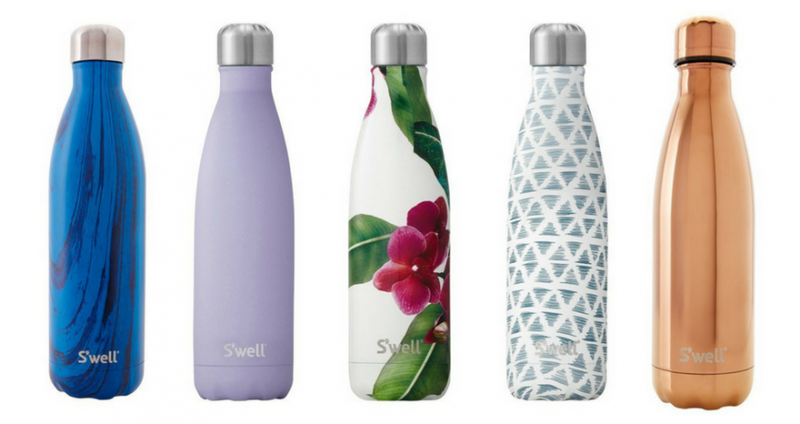 S'well bottles are probably the most popular water bottles out there – and for a good reason. These bottles can keep drinks hot for up to 12 hours or cold for as much as 24 hours, thanks to their high-grade, double-walled stainless steel design. The only downside to these bottles is probably the price tag. While we've seen S'well water bottles for as low as $17.40 each, they can usually run anywhere from $35 to $59. That's why we put together this guide to where to find S'well bottles on sale in Canada. We'll update it every time a new deal pops up, so you can (hopefully) avoid paying full price! The sale section is actually FULL right now at swellbottle.com! The Goodbye Party Sale Collection is marked down right now, and select bottles are on sale from $21 USD (so about $27 CAD)! Bottles of all three sizes (9 oz, 17 oz and 25 oz) are included in the sale, and even with the conversion rate, these are still some of the best prices around on S'well! Twelve different bottle designs are included in the sale, and you can see them here. Everything on their site is listed in USD, and shipping is an extra $5. All orders shipped to Canada are final sale. Amazingly, Chapters Indigo's 15% off weekends coupon codes usually apply to S'well water bottles. There's no code out at the moment (since, you know, it's not a weekend), but we'll let you know when a new one is out! Orders over $25 ship free. Where do I find a S'well bottle sale? Solid question. We've seen S'well bottles drop in price to just over $17, but those sales tend to be few and far between – and they sell out very quickly. Your best bet is to bookmark this page and check it often for the latest news about S'well bottle deals! Where are S'well bottles sold in Canada? Really, you can find them at tons of different stores, including some you might not expect (like Urban Outfitters, for example). Some Canadian stores with the biggest S'well bottle selections include Chapters Indigo, The Bay and Well.ca. Can I buy a new S'well bottle cap? Yes! You can find them almost anywhere S'well bottles are sold. What are the S'well water bottle sizes? 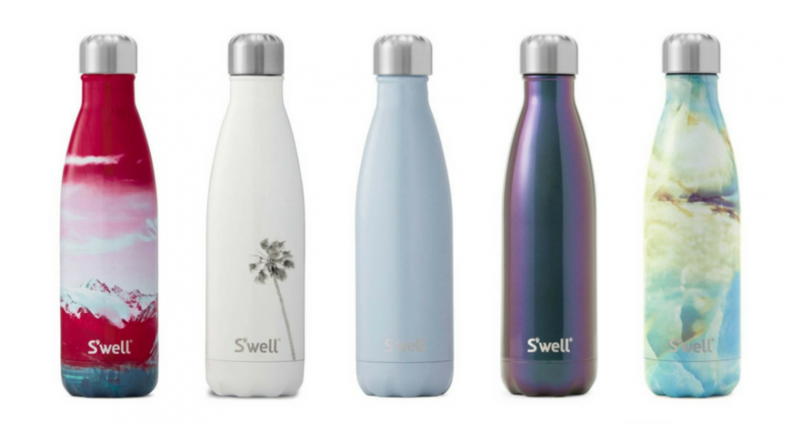 S'well water bottles come in three sizes: 25 oz (750 ml), 17 oz (500 ml), and 9 oz (260 ml), and some retailers now also carry tumblers and travel mugs, too! What is all the hype with this style of bottle?? It keeps ice forever (for a long time, I got two days once when adding cold liquids)...if you like cold drinks its pretty awesome!! $40 for a water bottle?? ?